Are you looking forward to a fluffy Christmas motif? Then perhaps you should start decorating your tree with fuzzy pompom ornaments. These decorations are made of fluffy pompom balls gathered together and hung on Christmas trees, doors and walls during the holiday season. You can shape the pompom balls into snowflakes, diamonds, or stars. You may also use miniature stuffed toys as well, in case you have kids around. For sure they will like these ornaments as they can play with the plush decors too. 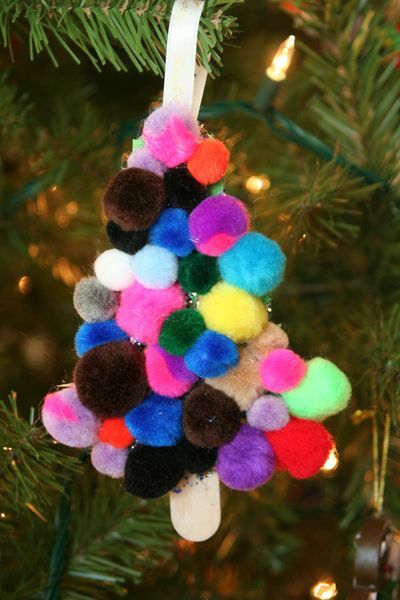 What’s best with fuzzy pompom ornaments is that you can use all sorts of colors. You can also go for the glittery and feathery pompom decors if you want to brighten up your Christmas tree.